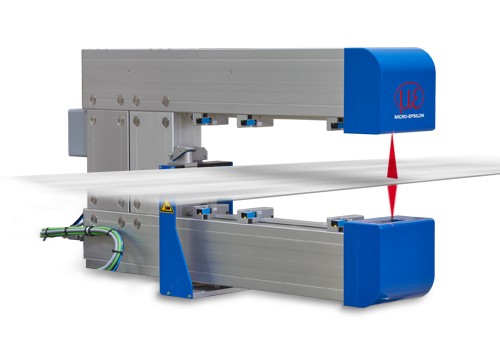 The system measures the cross-section over the total width, recognising the edge position and adapting the traversing position according to movements of the floating strip and changing widths. 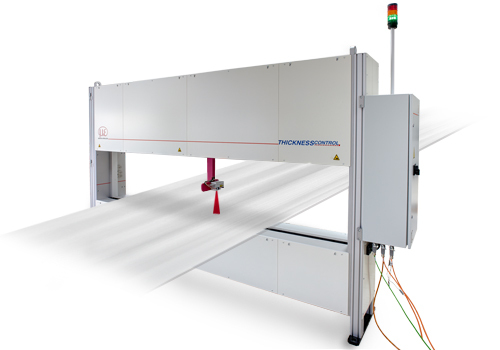 The system measures the centre thickness over the total length of the product. An interface transmits the measurement data to the grinding machine in order to control material removal.